George Gregory is a space with a goal that each time you leave the shop you’re in at least a tiny bit better mood than when you opened the door. 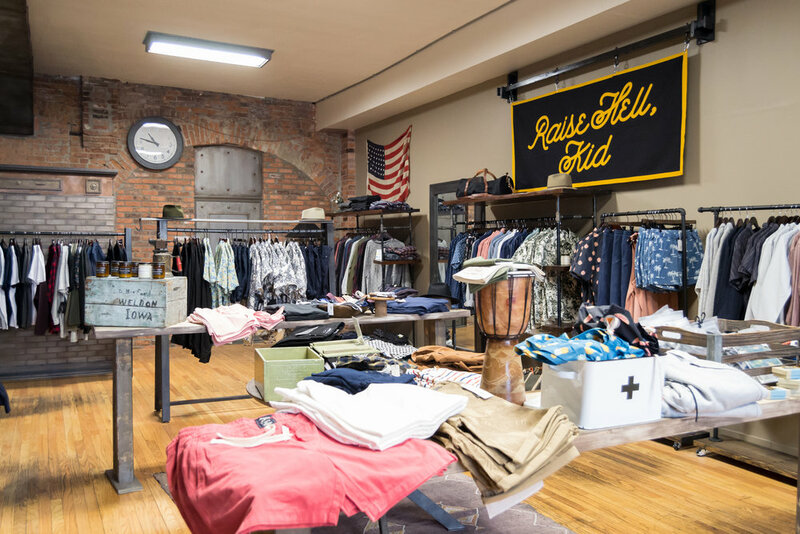 A shop offering pieces for a relaxed Sunday, a business casual office or a night out with friends, and everywhere in between-masculine, but with a fresh sense of creativity and play. Carrying sizes S-XXXL in a range of price points welcoming everyone in the evolution of personal style. What makes George Gregory special? 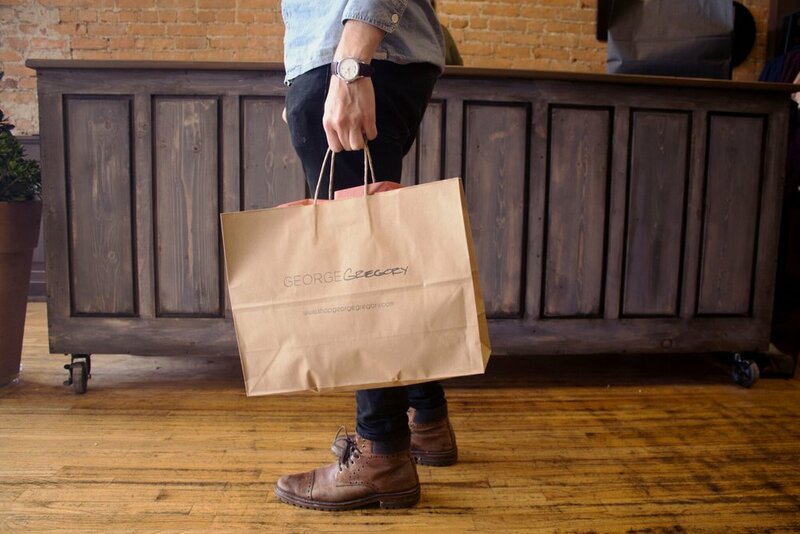 George Gregory is a store providing clothing and accessories for men (ladies you are welcome, too!) small to 3x from independent brands not available in most chain stores. It's a feel good shop whether you are browsing around or gearing up your summer wardrobe, you leave in a better mood than when you came in. Beer and wine is always available making the shopping experience the most relaxed it can be. As the buyer of the store, I am in a unique position to keep my customers needs and expectations mindful as I make selections, so it's been really helpful to develop relationships with my shoppers so we can grow this store to the best it can be together. As soon as George Gregory went from being a dream to a reality, I knew Corktown was where I wanted to call GG's home. Many months before signing my lease, I shopped in Corktown, making acquaintances with store owners. Erin from Eldorado General Store was so welcoming and a huge influence on my little shop today. It's a special neighborhood where aspirations can take hold and flourish in a community that has open arms for diverse development and authentic character. Corktown is full of small businesses, each supporting, shopping, referring and engaging with each other. We believe as a whole, we are most definitely stronger together. The CBA has been supportive since day one. They have introduced me to so many other small business owners allowing me to create a much needed network. It is so crucial as a small business owner to have a group of people you can call any given day for help or guidance. What are some goals or upcoming announcements for the George Gregory? I am currently working on George Gregory's e-commerce site, which will be very exciting to get GG in homes across the states and beyond. Also, many more events are in the works. With the nicer weather approaching us, the ideas are endless. Stay tuned on our social media for upcoming whiskey tastings and live music!